If you purchase this report, you are entitled to a 30% discount towards customizing it, to better fit your market research and strategic needs. Our Custom Research and Industry Insights Department will work with you to better understand your information gaps and strategic needs and will provide you with a tailor-made market research report within a short period of time. We are a multidisciplinary team of homeland security and public safety industry experts with over 30 years of experience. 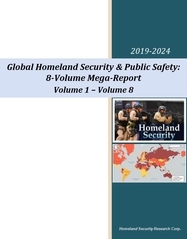 With over 950 private sector clients (73% repeat customers), including major defense and security vendors, and Forbes Global 2000 companies, HSRC earned the reputation as the industry’s Gold Standard for Homeland Security & Public Safety Market Reports. Provide you with clear, actionable recommendations designed to empower decision making and to help you exploit emerging opportunities in the homeland security & public safety industries. Your personal information is safe and secure. OSINT is becoming a necessity and the market is growing. OSINT tools, Webint and Social Media Monitoring Automation allows analysts to cope with various sources and provide near real-time analyses. An increasing amount of personal data, corporate content, and government databases are now open and accessible to intelligence organizations around the world, leading to a rise in OSINT investments and, by extension, OSINT, WEBINT or SOCMINT budgets. Several types of security organizations are now reportedly investing in Open Source Intelligence Tools to increase their monitoring and research capabilities, in the open web, deep web and Darknet. Social networks such as Facebook, Twitter, LinkedIn, and other local services hold detailed personal data on billions of people, and lay the grounds for Social Media Monitoring. Locations, connections, hobbies, and purchasing habits are open for all which have turned these networks into goldmines for intelligence analysts. An additional source of intelligence is news reports from around the world: information about a riot, a disease outbreak or the moving of troops can reach local and then international media within seconds. Once published, news reaches intelligence organizations around the world instantly. This flow of information and the relevant supportive intelligence systems are a strong tool for every intelligence organization. 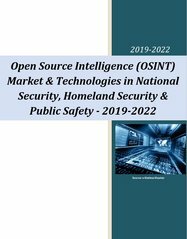 Organizations related to Military Intelligence, Police Intelligence, and Homeland Security are reportedly investing in the purchase of state-of-the-art OSINT systems. One of the fastest-growing verticals is Open-Source Intelligence monitoring for cyber intelligence, in the realm of Threat Intelligence. As hackers interact over the dark net and manage operations and assaults in web forums and groups, constant monitoring of these activities can provide valuable information about planned attacks. In most cyber defense organizations, OSINT and WEBINT are becoming one of the building blocks for strong Threat Intelligence process. An increased use of social networks and a rise of user-generated content, including video sharing, groups, and forums, which expand the amount of content available for intelligence organizations to gather and analyze. The growing willingness to release open governmental data to the web, facilitating data access on a personal or country level. Leakage of private and secret data to the open sphere. Initiatives such as Wiki-Leaks or Panama Papers are exposing previously undisclosed information, enabling sophisticated intelligence organizations to make use of this data for the investigation and monitoring of people, companies, and countries through advanced Open Source Intelligence tools. The growth of OSINT training courses around the world, which have boosted the number of potential users of advanced systems. Courses offer publicly available Information collection techniques, top OSINT tools, and even HUMINT over OSINT capabilities. 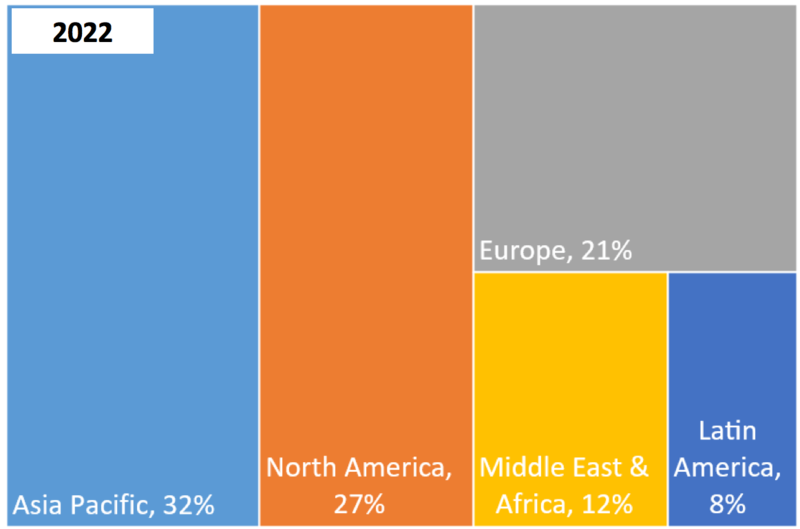 The “Open-Source Intelligence Global Market 2019-2022” report examines each dollar spent in the market via 5 orthogonal money trails: regional markets, national markets, vertical markets, sub-markets and by solutions market. What will the OSINT market size be in 2019-2022? Which verticals are the fastest-growing? 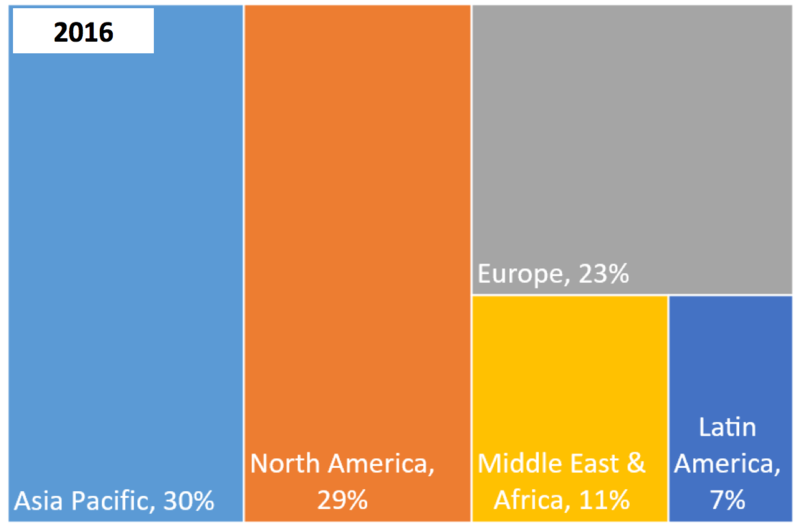 Which countries are expected to invest in OSINT and WEBINT solutions and services? What are the OSINT market drivers and inhibitors? This report is a valuable resource for executives with interests in the industry. It has been explicitly customized for industry and decision-makers to enable them to identify business opportunities, emerging technologies, market trends and risks, as well as to benchmark business plans. Why Buy this OSINT Market Report? The market data is analyzed through 5 key perspectives: regional markets, national markets, vertical markets, sub-markets, and technological solutions. 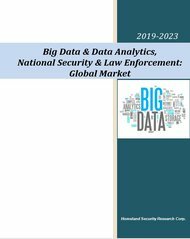 See our Big Data & Data Analytics Market in National Security and Law Enforcement – 2019-2022 report which also includes some OSINT aspects. Interested in this report? Need more information? 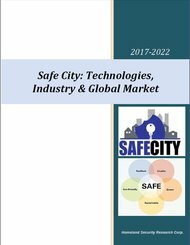 The Most Comprehensive Safe City Market Report Ever Published, Granulated into 197 Submarkets.